8 minutes of his unique strength-training moves done in the privacy of your home. 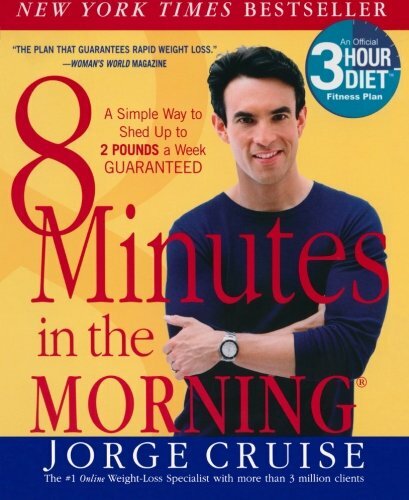 A few minutes each morning is all you need to lose up to 2 pounds a week. Add the cutting-edge eating program that teaches you how to eat the right fats to satiate your hunger and cut your calories, plus a daily dose of motivational support from Jorge, and weight loss has never been easier!Jorge's fat-burning program includes: Two super-quick moves a day A delicious eating plan where you don't count calories and you must eat fat Daily pep "talks" to help you hit the ground running Access to Jorge's online community that will help keep you encouraged and connectedPlus, you'll find Jorge's brand-new "On-the-Go" Weight-Loss Travel Cards inside.So get ready to look slimmer, sexier, stronger in just 8 minutes!